Sara is being called back home in this new season to be with her family! 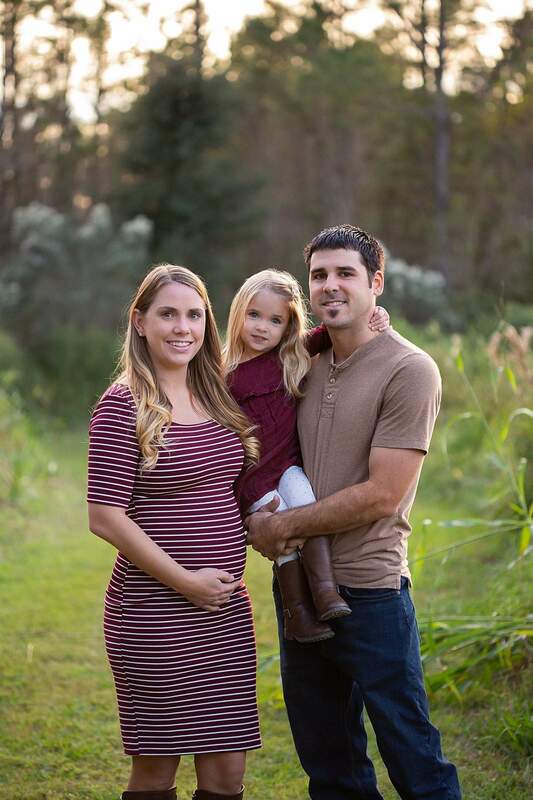 We want to thank Sara Hall for all her amazing work with our CAMP CROSS Nursery! As you may or may not know, my husband Trevor and I are expecting our second child in April! We have decided to take advantage of the opportunity I have to stay at home with my babies full time. This is something that was placed on my heart long ago. 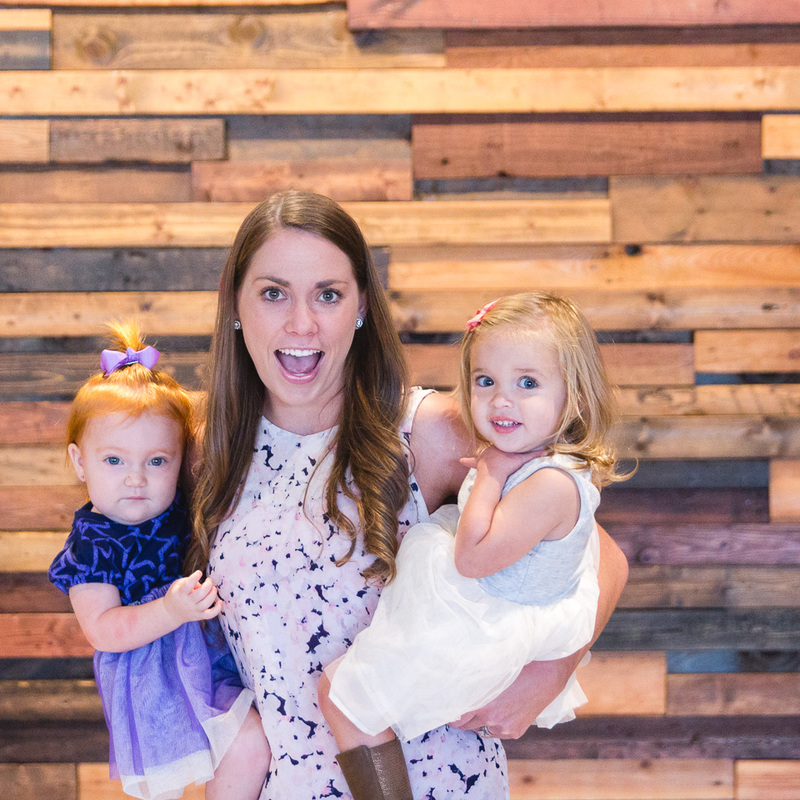 For those of you who don’t know my story and what brought me to work at theCross--I was a kindergarten teacher up until a year after I had my daughter, Sawyer. My husband and I had decided that I would stay home full time with her after that. I was officially a stay-at-home mom for two months, then I was approached with the position as the Nursery and Preschool Director here at theCross. "This was a much different experience than teaching in public schools; I have had the opportunity to help build your children’s foundation of faith." The decision was tough at first, because I wasn’t technically going to be staying home with Sawyer “full time,” but this was the perfect opportunity for me, since I was able to stay home and also teach little ones about God’s love. This was a much different experience than teaching in public schools; I have had the opportunity to help build your children’s foundation of faith. With our second baby on the way, I am feeling more called to be at home full time while my children are small. My time here at theCross has allowed me to experience a wonderful journey—I have grown as an individual, teacher, wife and mother. I am so proud of how the Nursery and Preschool Ministry has evolved and am so grateful that God used me as a vehicle to do so. I also want to thank my dream team! I would have not been able to run this ministry without them. 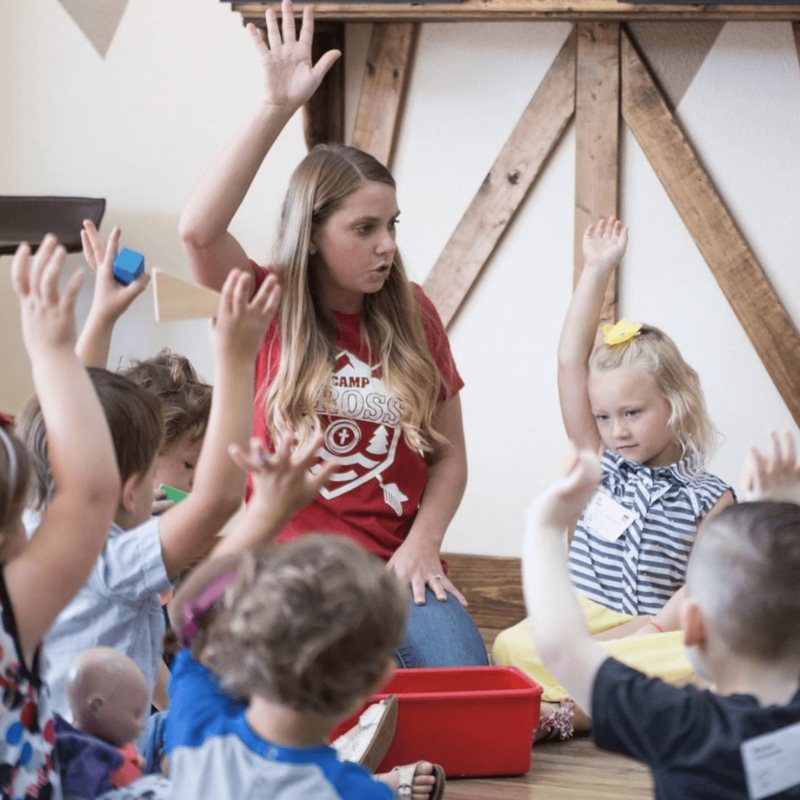 They serve faithfully and are also a huge part of creating a safe space for your children to learn about Jesus; so thank a Nursery and Preschool dream team member next time you get the chance. I want to thank all of the parents who are a part of this ministry. Thank you for allowing me to teach your children. Thank you for being the bridge that your child needs: creating continued learning between home and church. I will be teaching until the end of March and will be expecting Emerson to arrive in April. We will be home for a month or so, but after that, you will see us around, as my daughter attends the preschool class as well. I feel such peace and I know that it is God telling me this transition is right. I feel like this is definitely the perfect time to pass the torch. I have been praying for a long time now about this ministry, what God has done and will continue to do, and for the next leader who will take this ministry even further. Please join me in prayer as well; I know we can continue to expect great things from this ministry and I am so excited to see how God uses the next person to lead it. Last year, the number one most requested question by the congregation in our "You Asked For It" sermon series was “How do I hear the voice of God?” As we enter into a new year, we will be starting 2019 with 21 Days of Prayer and Fasting (January 6-26), and we believe this will be an amazing time to dive deeper into hearing God’s voice. It’s an incredible privilege that God actually wants to be in a real personal relationship with us. 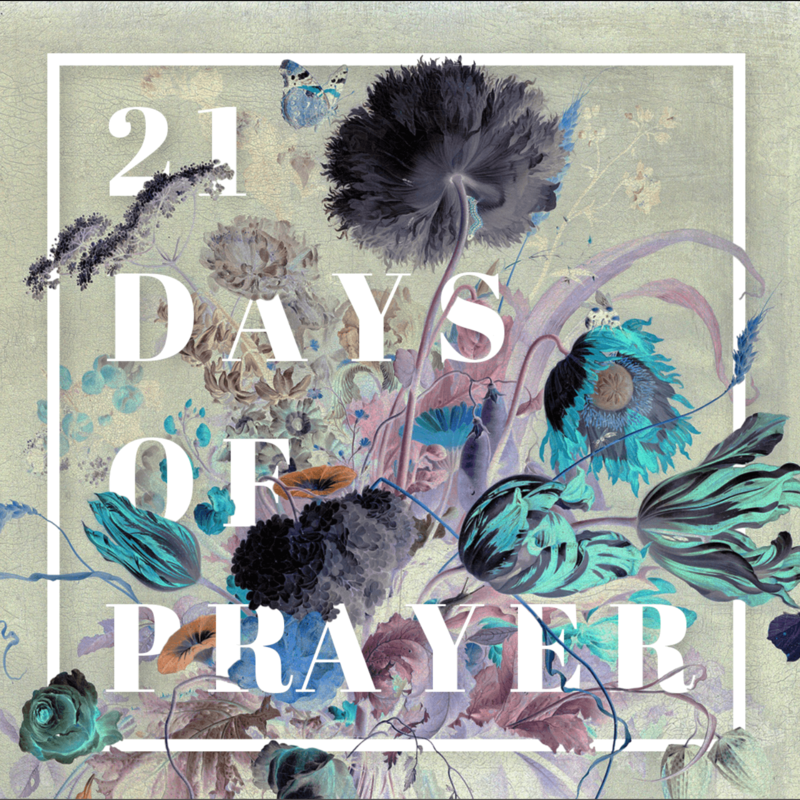 For these 21 days, not only will be learning about the voice of God in our Sunday services, but we will be holding many prayer services and opportunities to connect to God through prayer. We also encourage everyone in our church family, as able, to fast for a certain period or length of time. We believe that prayer connects us to God and fasting disconnects us from the world, both of which have never been more necessary in our lives as individuals and as a church. January 6: The Voice of God: Can you hear me now? Many of us have a hard time hearing the voice of God. The problem is not that God isn’t speaking, the problem is that we are not hearing. In other words, more bluntly, we are the problem, not God. In order to hear God’s voice more clearly, we need to connect to God through prayer, and at the same time, disconnect from the world through fasting. These two powerful disciplines will help us hear the voice of God more clearly. January 13: The Voice of God: How does God speak? The same voice that spoke the world into existence out of nothing is the same voice that is speaking to you today. What we find out in Scripture is that God speaks in a variety of ways, but his most common way of speaking to us is through a gentle whisper. He doesn’t speak in a whisper so that it’s difficult to hear him, but rather, to remind us of just how close he is to us. January 20: The Voice of God: God, is that you? So you think you heard God’s voice? But how do you really know if it’s God’s voice? If everyone did what they felt like God told them, this world would be a pretty scary place to live in. We have a discernment problem when it comes to hearing the voice of God. In this message, I’ll give you a filter that will allow you to ask practical questions to ensure that you are interpreting the voice of God correctly.